While I wouldn't have believed it at the time, it seems that suddenly my children are past the baby and toddler years. How did that happen? Where did their chubby little cheeks and wobbly first steps go? Along with reminiscing about the memories and days gone by, there are times that I look back on the past 6+ years and focus on the products. There were some that were, and still are, good choices. Products that made life easier, brought comfort or joy, or were, quite simply, items that I would recommend. At the same time that I look back at items that I adored, that there were some items that I regret, knowing that I shouldn't have spent the money or taken up the space. Among those: the excess diaper bags. What was I thinking buying a diaper bag that screamed Diaper Bag! when that easily meant that I would no longer carry it the second I didn't have an infant? Instead, it makes much more sense to select one bag that is unique, high quality, stylish and extremely versatile. That way it can be used pre-baby, throughout childhood, and then beyond, never once giving a woman's appearance the look of being centered on baby, baby, baby. Combine those features with a bag that is unisex, extremely lightweight and can be adapted to nearly any situation and you've got yourself the Every Day Diaper Bag from Bōken. A combination tote, backpack and cross-body messenger bag all in one, the Every Day Diaper Bag was inspired by a travel backpack and has the ability to fit your needs and your style, as well as keeping up with your hectic schedule. No matter if you're focused on form, function, ease of cleaning or simply a modern, uncomplicated look, Bōken has managed to put all of that (plus more) into one simple bag. As I pulled the Every Day Diaper Bag out of the box, I found that, even though I was expecting it to be small, I was still pretty amazed at just how compact it was. Wait. 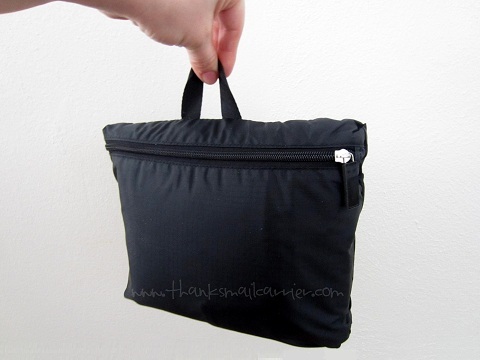 There is a full-sized diaper bag in this tiny little pouch? 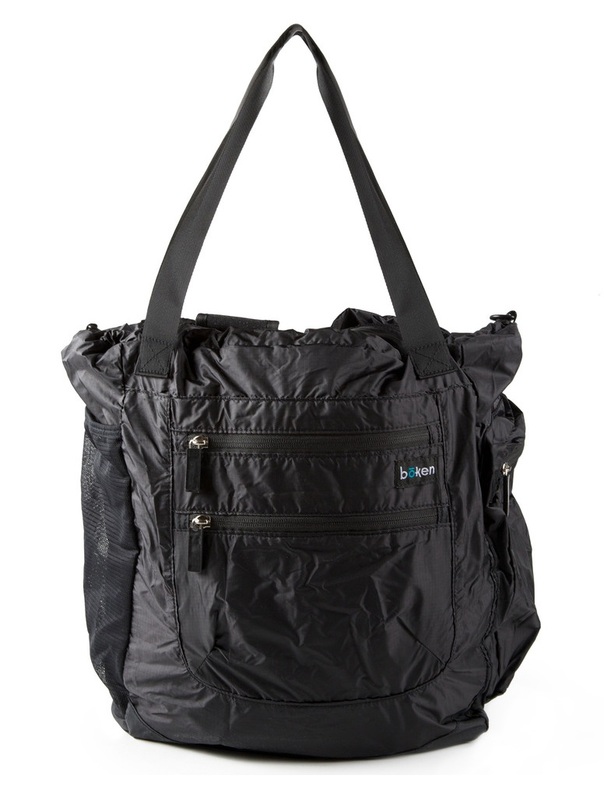 Weighing in at a whopping 13 ounces, this utilitarian, uncluttered, lightweight diaper bag is made from water-resistant material and includes pockets galore. Inside, outside, everywhere you look! 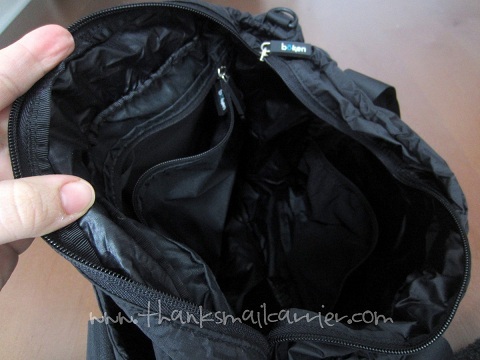 Starting with the top zipper — which I love, as then I don't worry that items will fall out if the bag is tipped — the Every Day Bag is extremely large and roomy on the inside. There you'll find a reinforced bottom, a large mesh pocket and a zippered smaller pocket to help keep your items organized. Back on the outside, there are two zippered, easy access pockets on the front for personal items, as well as two end pockets (one zippered, one mesh) for baby bottles, water bottles or sippy cups. But the fact that Bōken made this bag extremely lightweight, easy to clean, great for storage and included a full size changing pad are far from all the reasons that it is impressive. ...it only takes a minute to transform this bag from tote... to backpack... to cross-body bag. Did I mention the versatility? Considering that the Every Day Diaper Bag is so much more than simply a diaper bag, I set out to use it in a variety of different situations and have found that it excelled in each one. It has easily carried our library books, been a gym bag, held wet snow gear, gone shopping, and much more. After all of that, I knew that it would be perfect as a travel bag when the girls and I hopped on a plane for our spring break trip. What better way for kids to carry all of their necessities than with a bag that weighs nearly nothing, is strong and durable, and can be wiped clean of their messes? Whether filled with snacks and activities for the plane, packed up for a day out sightseeing, or simply filled with sunscreen and towels to head to the pool, Bōken's bag has truly come in handy for just about every situation! Whatever the world (or your baby) throws at you, the Every Day Diaper Bag from Bōken can handle it — while still looking modern, simple and functional. Moms, dads, grandparents, caregivers, this bag works for anyone and everyone! Currently available directly from Bōken (as well as in select boutiques in the near future), the Every Day Diaper Bag retails for $68 and has the ability to replace the majority of bags currently hanging in your closet! One lucky person will win an Every Day Diaper Bag from Bōken! 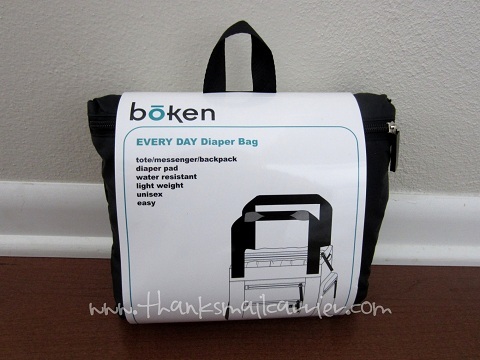 A big thank you to Bōken for providing an Every Day Diaper Bag for me to review as well as for one lucky giveaway winner. The opinions shared are my own and honest and if you really need to see more, click here to see how I roll. I love that it is so compact when not in use as a full size bag! I love the 3 ways to carry. love how small is stores! I love that it has so many pockets! I actually love that it collapses and still has a ton of pockets. I like that it is easy to pack for travel and converts into a backpack. I love that it's easy to clean. That's why we need a new bag. 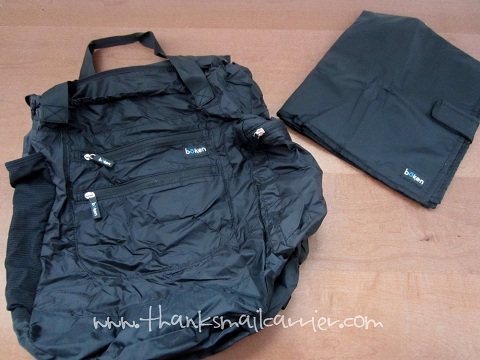 I love that it is lightweight and has a lot of pockets. I like how versatile it it! 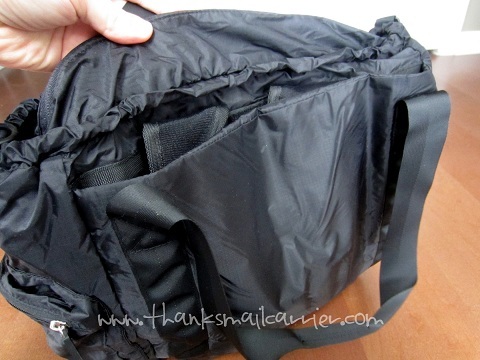 I love that it's easy to clean, so many diaper bags are not washable! I love the fact that it collapses. I like that it can be carried like a book bag. i love that it has so many ways to keep it organized! That is the coolest bag I've ever seen! I like that it's lightweight and can be carried 3 different ways. I love all the pockets and room! I like that it collapses and has a lot of pockets. Thanks so much for the fantastic giveaway! I like the organizing zipper close pockets and that it's light-weight. So many zippers to stay organized! I like how lightweight it is. I like that it has lots of pockets, is light and zippers shut. I like the three different ways to carry & all the pockets. I like the pockets and the fact that it's lightweight! I like how much you can change and adjust it! I love that it has a full size changing pad! I love the 3 different ways you can wear it. I like how lightweight it is! I love how light weight it is and also how compact it can become! It's so easy to clean. I like that its so lightweight. I like all the zippered compartments. It can easily carry lots of stuff and keep it all organized. cross uses_ library bag, back pack etc. 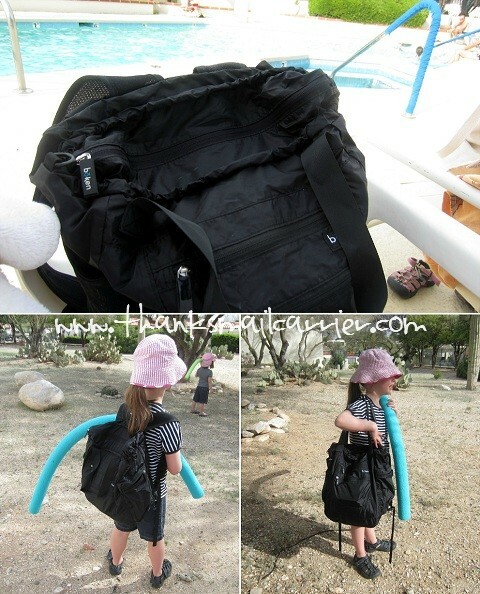 I like its versatility so that when you need it to be something other than a diaper bag, you can change it. I love that it transforms easily into different styles. I love how I can be so organized with it! I love that it can be a purse, messenger bag or backpack! I like that you can transform it from tote to backpack to cross-body. That is wonderful! I like how it transforms into 3 different types of bags, depending on what you need for the day. I love that it's only 13 ounces. I could load it up! I like all the pockets. I love that it can be carried as a tote or backpack and that it is lightweight. I love how lightweight it is and also easy to clean! I love that it can also be carried as a backpack! It's nice that it can be so compact when not in use! I love the way it easily changes to be carried 3 different ways! lightweight, water resistant, and POCKETS GALORE!!!! I love the 3 different strap options! I like that it has tons of space but is also really light weight! I love how it has so much room for everything and that it converts to a backback! 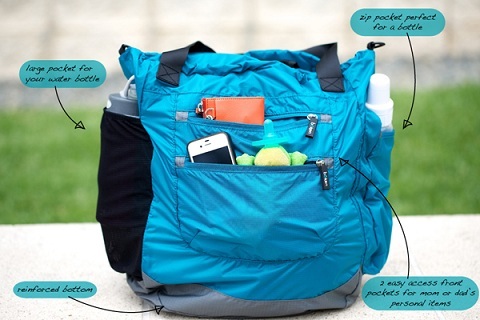 I like how the diaper bag can be carried like a backpack or a messenger bag. 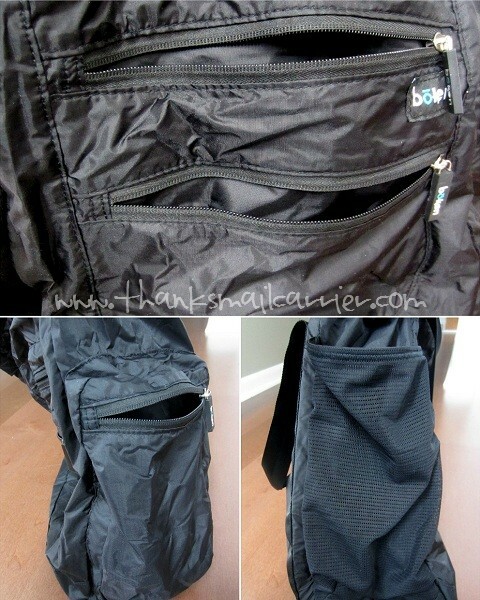 It has plenty of pockets to hold lots of stuff for baby and parent. I love how compact it can get! I like that it can go from handheld to backpack! That's so cool! I love how many pockets that it has. I like the different ways to carry the bag, the fact that it weighs so little but carries so much and the dexterity of black. I want one! I like that it's so light weight. I would love to win this diaper bag!! I like that it transforms! I like how it transforms. I like that it's sturdy and gender neutral...always feel sorry for my husband lugging around a pink, flowery purse. I love how it quickly transforms from bag to tote. also like all the pockets. I like it can be used as a diaper bag and travel bag. I like how easy it is to clean. You had me at "easy to clean"! My son has had more milk spills than I care to count. I love that it is easy to clean and that it has 3 different strap lengths. I like that it is easy to clean! No matter how hard you try something always spills in the diaper bag.